More Products. More Gizmos. More Gadgets. A variety of LED's, now a variety of mounts, too! So many so that we had to produce another page just to showcase all these lovelies. 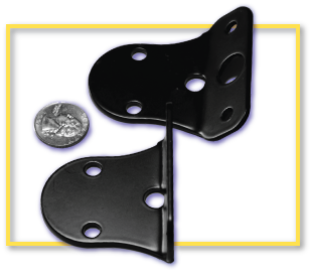 This 30-degree angle mount is made of Delron and adheres with two rare earth magnets totaling 44 pounds of sticking power. 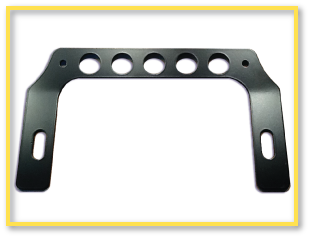 This mount allows you to position your 3x5 light bar on any flat surface ~ your rig's frame rail, body panel or dashboard ~ to name just a few. 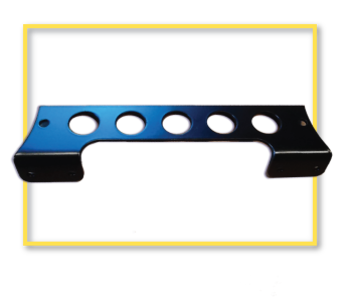 This roll bar mount fits a 1-3/4" roll bar and is made of Delron, allowing you to mount your 3x5 light bar on any 1-3/4" tubing. It adheres amazingly well with two rare earth magnets providing an awesome and powerful 44 pounds of sticking power. These two solid mounts will support your TG-101, our 10-watt surface-mounted LED, anywhere you'd like. 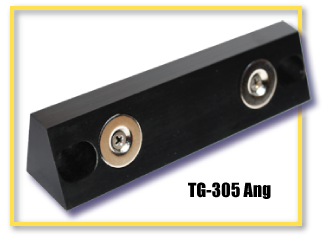 The TG-101 PCM-30 (top) is a solid, powder-coated mount intended to hold your LED ferociously at a 30-degree angle. The TG-101 PCM-90 (bottom) is also powder-coated but instead maintains a 90-degree angle with which to hold your LED. 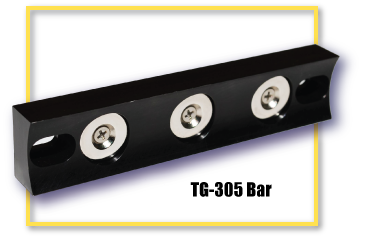 This versatile mount securely holds your 3-watt by 4 LED light bars (the TG-305 or the TG-412) at the perfect 30-degree angle, allowing you to illuminate those hard-to-reach dark spots in front of, behind or next to your dirty buggy. 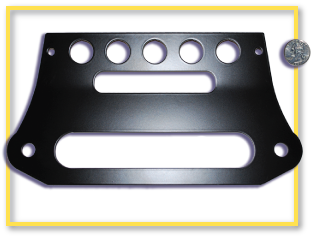 This fairlead mount provides two abilities: It attaches to the front of your rig, allowing you to install your TG-1005 lightbar as well as its strong support of your rig's winch that uses nylon cable. One helluva way to secure your TG-1005 LED lighbar over or under any winch using steel cable. 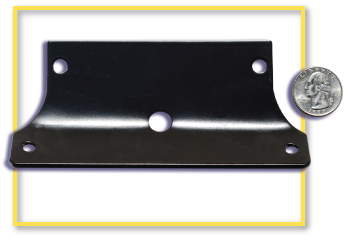 Another fantastic fairlead mount to securely hold your TG-1005 LED lightbar over your winch, only its got longer "legs." Again, for use with any winch using steel cable. 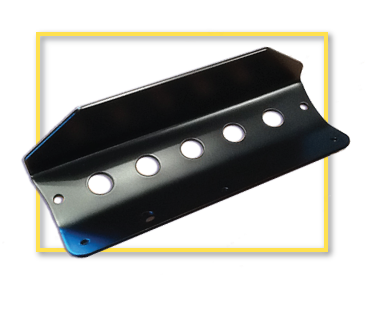 This hooded mount maintains the perfect angle to allow your "Big Bertha" (the TG-1005) to shine bright light, but also shields you from the direct bright light this enormous lightbar puts out.